Although it seems unusual for a wireless communications company that makes it’s money by charging you for phone calls, Verizon Wireless released the SKYPE Mobile client for the Android and select Blackberry phones on Friday. In case you are not already familiar with Skype, it is a voice-over-IP communications service that allows you to place unlimited calls to any other Skype user, anywhere in the world, using your computer and an internet connection, for free. You can also call regular land lines and mobile numbers at a very low per-minute rate. Although Skype Mobile for Verizon wireless requires a data plan on your phone (if you own one of the compatible phones, you already have this), when you place a Skype-to-Skype call, it actually uses the VOICE portion of the Verizon Wireless network for better call quality, without using your wireless minutes. Nor will the Skype calls be “charged” against your data usage. It really is the best of both worlds. It’s hard to believe that Verizon Wireless is not charging you voice minutes OR data usage for Skype-to-Skype calls, but that’s exactly what’s happening. If you happen to be in the Skype application (which, by the way, remains running in the background at all times, something Verizon is quick to point out since the iPhone can’t do this) and wish to call a domestic non-Skype number right from within the Skype app, no need to exit – just place the call and Verizon Wireless will automatically treat the call as a regular voice call and bill you according to your normal voice plan. In addition to making a standard call to another Skype user, the Skype Mobile app also lets you remain in contact with all of your Skype associates via Skype Instant Messaging. And since it’s always on, you never have to remember to load it to stay in touch. You can also set your Skype IM status so your contacts know if you are too busy to respond. And, using Skype Mobile, you can also have group calls and IMs just as easily. 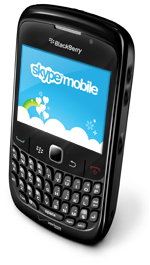 To get Skype Mobile, visit Skype’s web site to send a link to your phone, or go directly to http://www.skype.com/m on your mobile phone. If you try it out, let us know what you think. Previous post5 Points That Will Take Your Blogging Presence Up, Up and Away!